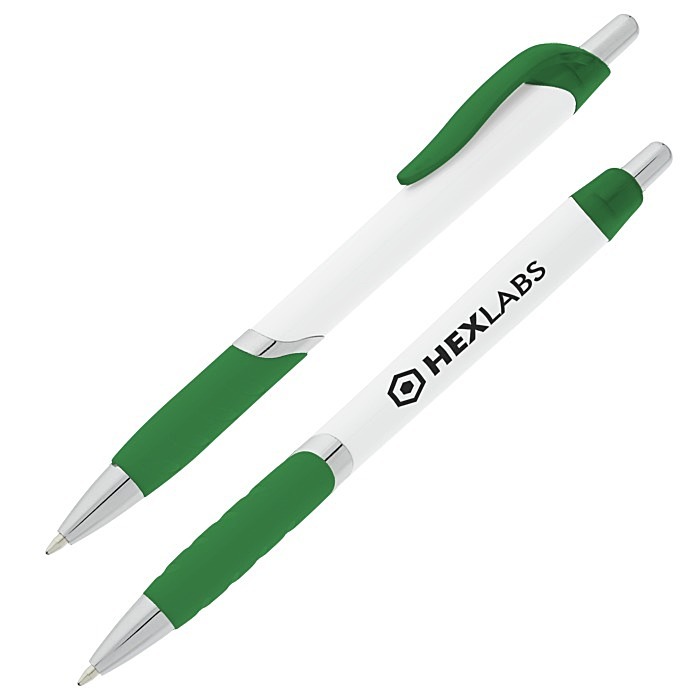 Stimulate customer conversations by offering them new pens! Revise your plain-old palette with these new exciting trim colors set against a crisp white barrel. Coordinating clip and molded rubber grip colors create a unified look. Shiny silvertone trim finishes off the dignified look with a polish. Your price includes a one-color imprint on the barrel, opposite the clip.